The 3 Carat Princess Cut Diamond Ring - How and Where to Find One! When diamond lovers think of BIG diamonds, 3 carats comes to mind. It’s a popular number because it’s the borderline between too big and expensive and what the average consumer might still afford. Those who reside in La La Land adore the 3 carat diamond. And anything beyond it is too outrageous for some! While the lesser weights, despite their own charm, well, are just not as remarkable. And when a princess cut diamond has this size, the charisma is amplified! The princess cut is another favorite because it’s edgier (pun intended!) than the round cut but still exhibits almost the same amount of brilliance. With a 3 carat princess cut diamond, we have two favorites combined! But due to its popular demand, fake and poor cut stones are inevitable. 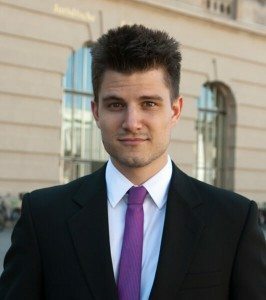 This post is created to point you in the right direction! 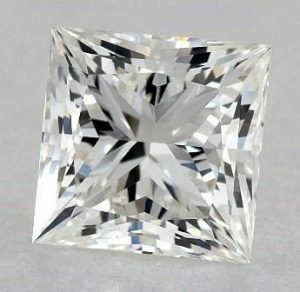 Read on and learn how and where you can find a real, brilliant, and a beautiful 3 carat princess cut diamond ring without spending a fortune! Before investing time in guaranteeing you’ll have a stunning 3 carat princess cut diamond ring, find out if it’s certified. If it isn’t, despite being sold by a decent jewelry store, you’ll never be sure if it’s priced as it should be. Or worse, it could be a fake diamond or a simulant. Now, let’s say the diamond you like comes with a certificate from a grading lab. Unfortunately, you can still be ripped off because there are labs out there that are too lax and inconsistent with their grading. 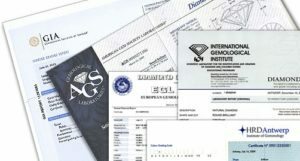 In-house appraisals and certificates from EGL, for example, have inflated grades to make it seem like you’re getting a better diamond for a lower price. But in reality, you’re offered a SI1 graded as a VVS1! Only GIA and AGS are reliable. In fact, they’re the two most respected grading labs in the world. 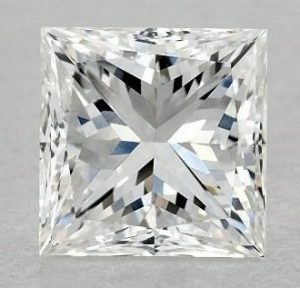 And once you’re certain that your 3 carat princess cut diamond bears a GIA or AGS seal of approval, we can now dive deeper into the diamond 4CS. Where do we do that exactly? When you shop at a renowned diamond store, you’re assured that you’ll be getting GIA and AGS graded diamonds. If you’ve read my post on why online is the most efficient and cost-saving kind of diamond shopping today, you already know that the best ones only offer certified diamonds. Aside from that, you can easily view a wider selection of 3 carat princess cut diamonds in 40x zoom and 360-degree HD videos. They don’t have that in physical stores! Online vendors like James Allen are designed for the digital generation because they’re fast and innovative, but safe and reliable. Most importantly, diamonds range from affordable to the highest quality, so all budgets are well-catered for. Read my post on diamond store reviews to know more! Since we appreciate a diamond’s sparkle with our eyes, it’s safe to assume that color and clarity should be the top priorities. The fascinating thing about THE sparkle is it isn’t formed in the façade. It’s created by the precise cut proportions of the diamond. 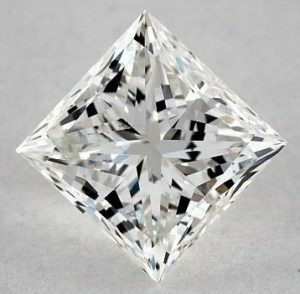 The cut is the leader of the 4Cs and should and always be the first thing you look for in a diamond. Simply reading the grades, an inexperienced shopper would pick the diamond on the left. But the one on the right has better scintillation because it has an ideal cut. Also, if you’ll click the image and have a look at the GIA report, it apparently has superb cut proportions which makes it the better choice. And imagine if your selection doesn’t come with pictures. Not knowing about the significance of cut, you’re more prone to choosing higher color and clarity grades. A 3 carat princess cut diamond is cut for sparkle and given a modern twist with its square form. The cut is superior no matter which carat size especially when it comes to brilliant diamonds. 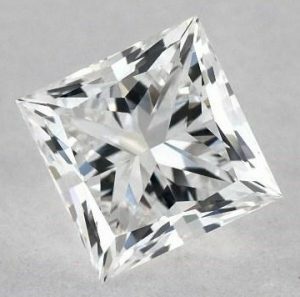 Staying within these excellent proportions will guarantee that your 3 carat princess cut diamond will have a decent light performance! While you’re at it, look into the length to width ratio, and make sure it’s ideal which is 1:1 or 1:1.05. If you go beyond these parameters, your diamond will look a tad more rectangular. Unless, that’s what you’re going for, of course. This is the secret sauce in a brilliant 3 carat princess cut diamond that’s within or even less than your budget. Let’s just close the lid on diamond cut because there should be no compromising on this factor whatsoever. On the other hand, all the other 4Cs can be played around so you wouldn’t be paying for an invisible feature and save money. Without descriptions, who would’ve thought that the difference in grades between these two princess cut diamonds are that great? It just goes to show that you may opt for a near-colorless and lower clarity diamond and get one that’s almost as visually stunning as the diamond on the left. What’s more is you can even go lower than the sweet spot – G/VS2! As long as the diamond is eye clean and you’re pairing it with a yellow gold diamond ring setting. The hint of yellow in a J colored diamond is balanced by the warmth of the setting. Add in a French-set halo for a vintage feel and extra sparkle! Having specific preferences makes you more of a smart shopper than a greedy consumer – only if you prioritize what you want. Let’s say you’re sold with the size and shape of a 3 carat princess cut diamond, the search shouldn’t end there. Remember to verify its authenticity and ensure it has the best cut proportions. Then adjust the other criteria to your taste and budget. And voila! You won’t just have a 3 carat rock or a princess cut, but an exquisite diamond all in all! Should you have any question, please feel free to write to me or comment down below!